Bow hunters and archers often use a specific set of terms or vocabulary when referring to everything from the way they grip their bow to the size of a deer they’ve harvested. 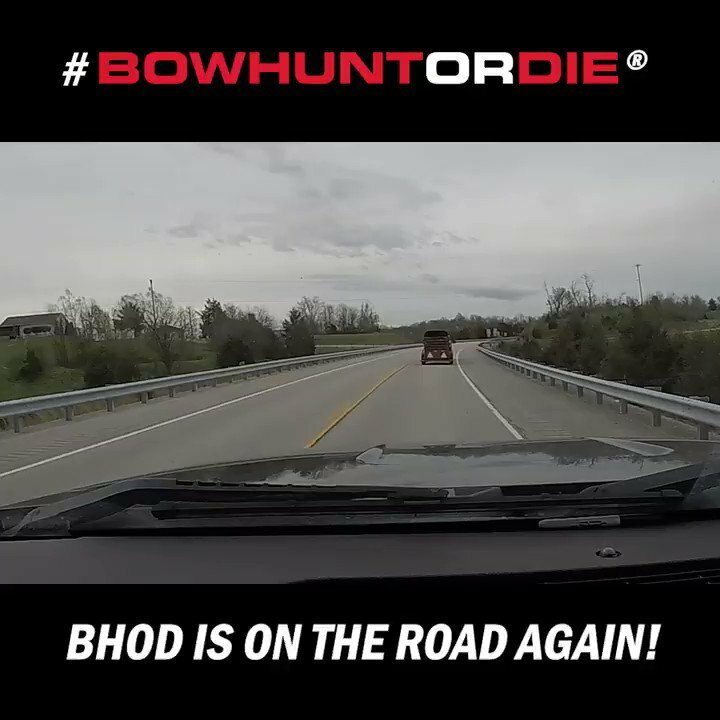 Below you will find a list of terms that you may hear around the bow shop or hunting camp which will help you better understand your bowhunting brothers and sisters. In order to achieve consistent, accurate arrow flight, it is imperative to maintain proper form throughout the shot process. The components of proper form include, but are not limited to, correct stance, relaxed grip, bow arm positioning, and correct execution of the shot itself. Learn proper form for shooting your bow. The arrow is the projectile that is shot from the bow. Materials used include wood, aluminum, and carbon. Today, carbon is the most popular choice due to its strength, durability, and spine to weight ratio. The arrow rest is positioned on the arrow shelf, directly under the sight window, and its main purpose is to cradle the arrow during the draw and launch process. Different models include stationary arrow rest and drop away rests. “Drop away” arrow rest are the most popular due to the fact that the launcher arms drop down before the arrow fletching reaches them. This reduces the contact between the fletching and the rest and results in better shooting. The arrow shelf is located just above the grip and below the sight window. This horizontal “shelf” is machined into the riser and it is the where the arrow rest will be attached. The axle to axle measurement of a bow is the distance (in inches) from the center axle of one cam to the center axle of the other cam. To attain maximum efficiency from your bow it is important to keep this measurement within the manufacturers spec range; most often within 3/16 of an inch of specified ATA. Back tension is a technique that involves using the back muscles to trigger the shot; rather than simply commanding the trigger finger to pull the release-aid trigger. This technique often involves the use of specialized release aids, but can still be incorporated to some degree using a standard caliper release. The Berger Hole is used to attach the arrow rest to the bow. It is located on the outside of the arrow shelf along the riser. When setting up a bow, most mechanics will start by centering the arrow along the Berger hole. The bow press is a tool used to relax tension on the bow string by flexing the bow limbs inward. This is done when maintenance work must be performed. Given the differences in bow geometry and limb configurations, caution must be used to insure the right press is used for the bow being serviced. The purpose of the bow sling is to promote a relaxed grip. This is accomplished by eliminating the chance that the shooter drops the bow after the shot. The bow sling is installed behind the stabilizer and essentially wraps around the bow grip where the shooter will place his/her hand through it. To prevent unwanted torque, insure that the sling does not fit too tightly around the hand but rather loosely. The Bow string is where the arrow is attached. On a two cam system is ends at the cams. On a single cam system the bow string ends at the bottom cam but travels around the top idler wheel. String life can be extended by applying string wax from time to time. This measurement from the bow’s grip to the bowstring (when it’s in the relaxed, un-drawn position) dictates the window of time the arrow stays on the string during the launch process. Traditionally, shorter brace height bows (6 inches or less) are less forgiving than those with longer brace heights (7 inches or more). Broadheads are used for hunting purposes only. Unlike field points, broadheads carry razor sharp blades and sharp points. There are primarily two types of broadheads; fixed blade and mechanical. The blades on a fixed broadhead remain stationary. The blades on a mechanical broadhead will be somewhat hidden during flight, but will “cam” open upon impact using a variety of methods. What it the best broadhead for hunting? The cables are tied into the bowstring and work with the cams during the draw process and execution of the shot. The cable guard protrudes reward (perpendicular from the riser) towards the bowstring and essentially keeps the cables out of the arrow’s line of flight. In most systems, the cables are attached to a cable slide, which runs along the cable rod when the bow is drawn. On some bows, the cable roller has replaced the standard cable rod/cable slide system. Instead of a slide, the roller system incorporates wheels to move the cables. This allows for greater efficiency and a smoother draw because friction is greatly reduced. The Cable slide attaches to the cable rod and holds the cables. Most are made of plastic with some models incorporating special materials that reduce friction. Cam lean is a term that describes the amount that the cam, or cams, are tilted or canted off of the vertical center of the bow. This condition is a result of the cable(s) and or bow string being pulled to the cable guard. Cams are located at the end of each bow limb and are round or oval in shape. The cams store energy and essentially transfer power from the limbs to the bowstring and to the arrow during the shot. Bow’s can have either one or two Cams. On a single cam bow, the cam is located on the bottom limb while the “idler wheel” is located at the end of the top limb. The modern compound bow consists of a levering system which utilizes cables and cams to bend the bow limbs and transfer energy during the shot. The D-Loop attaches to the bow string where the arrow is nocked and is used to apply even pressure along the string when a release aid is used to draw the bow back. Materials consist of a short piece of cord fixed firmly to the bow string by tying two knots. A bow’s draw weight is measured by the amount of force (in pounds) required to bring the bow to full draw. Field points are most often referred to as “practice tips”. They screw into the front of the arrow and come in a variety of sizes and shapes, and can also be purchased in 75, 85, 100 and 125 grain weights. Arrow Fletching helps to steer the arrow in a rotational manner while it is in flight. Materials vary between real feathers and soft, flexible plastic. These plastic fletching, or feathers, is glued onto the end of the arrow opposite of the field point end. Sizes can dramatically reduce arrow speed (larger fletching) or increase it (small fletching). Front of Center is a measurement that translates into a percentage of how far the balancing point of an arrow is forward of its measured center. Good FOC is critical for best flight stability. Most manufacturers recommend 10 percent or more weight forward for optimal control. FPS is the “Feet per Second” an arrow travels when shot from the bow. Most bow makers list this number under an IBO rating which is acquired by shooting an arrow weighing 350 grains from a bow set at 70lbs draw weight and 30” draw length. If you want to reach a bows IBO speed rating, it must be shot under those conditions. Any variations will reduce speed. A unit of measurement used when weighing an arrow and its components such as nock, insert, and broadheads or field points. Even arrows themselves are weighed in this manner by using a Grain per Inch (GPI) rating. Meaning, a raw arrow shaft will carry x amount of grains “per inch” of length. The grip is the only part of the bow that the shooter touches during the shot (unless shooting with fingers). Most grips can be removed and replaced with aftermarket models to accommodate specific shooting needs. IBO speed is defined as the initial velocity in feet per second of a 350 grain arrow which has been shot from a bow having a draw length of 30 inches and draw weight of 70 lbs. This excludes the use of a peep sight or d-loop on the string. Found on single cam bows, the idler wheel simple replaces the top cam with a wheel that only contacts the bowstring and not the cables. The insert is a threaded aluminum unit that is installed into the front portion of the arrow allowing field points and broadheads to be screwed into it. They are hollow and are “inserted” into the arrow after it is cut to the desired length. Let off is the percentage of the bow’s draw weight that is subtracted after reaching full draw. For example, a bow having a let-off of 80% will require the shooter to only hold back 20% of the actual draw weight: 70 pound draw weight – 80% let off = 14 lb full draw holding weight. Limbs are flexible, fiberglass planks that attach to the riser and support the cam system of the bow, as well as store and release energy before during and after the shot. Limbs are given specific weight ranges such as 50-60lbs, 60-70lbs, 70-80lbs, etc. The shooter can choose any weight within the limbs specified range. For example, 50-60 lb limbs offer any weight between 50 and 60 lbs. Limbs can also be replaced if these ranges in weight need to be increased or lowered. A longbow is similar to a recurve except that it is much taller (roughly equal to the height of the person who uses it); and the limbs are straight and narrow. The limbs also appear circular or D-shaped in cross section. The Mechanical release is a tool used to aid the shooter in drawing back the bow and releasing the string. The shooter must hold the release or attach it around the wrist, then attach the “jaws” of the release to the bow string or D-Loop. At this point, the shooter can then draw the bow back. When the shooter is ready to release the string, he/she must squeeze the trigger of the release in order for the “jaws” to open. Most release-aids operate in this manner while some (specialized training) operate via back tension and rotating the shooting hand. The nock is a plastic piece inserted into the rear of the arrow, opposite the broadhead insert, that allows the arrow to be “nocked” onto the bow string. The nocking point is the location on the bowstring where the arrow attaches. This location usually forms a 90 degree angle between the string and the arrow. The Paper tuning method is done by shooting an arrow into a taut piece of paper at a very close distance. This technique will reveal to the shooter exactly how the arrow is behaving by the manner in which the fletching punches through the paper. For example, arrow oscillations will be easily recognized by uneven tears in the paper. An arrow that is flying in a straight line should produce 3 distinct lines through the paper; rather than an unrecognizable tear. The peep sight is a plastic, circular shaped device that is inserted between the strands of the bowstring giving the shooter a point of alignment. Similar to the front and rear sight of a rifle, the archer will line up his sight pins while looking through the peep sight. Consistent, accurate shooting is more obtainable while using a peep sight. The quiver holds the arrow for the archer and can be permanently mounted to the bow or removed depending on which model is chosen. They can also hold a variety of broadheads. Before making a selection, first consider how many arrows you want to carry, what type of broadhead will be used (fixed blade or mechanical) and the type of terrain they will be carried over. A range finder is a hand-held devise which measures the distance and angle to the intended target and instantly transmits the information back to the user via an LCD screen inside the viewing eye-piece. The limbs on a recurve bow curve away from the archer when the bow is unstrung. When strung, the limbs curve back toward the shooter and store more power than an equivalent straight limbed bow. The riser is the long, central section of the bow which the limbs attach to. Most are constructed out of machined aluminum. Traditionally, longer riser bows are more stable at full draw. Archery sights provide the shooter with an aiming point much like that of a firearm. Bow sights attach to the riser, just above the arrow shelf. Many sights contain fiber-optic pins. Some will use cross-hairs or laser dots instead. In addition, bow sights can come in multiple pin (stationary) models, or single-pin (moveable) versions. Silencing aids can be purchased as after-market add-ons to absorb excess vibration—making the bow much quieter. These items can be attached to bow limbs, sights, arrow rests, and stabilizers. Some are even designed to be installed on the bowstring and cables as well. The stabilizer is a short or long device which is screwed into the bow on the front of the riser, just below the grip. They are primarily used to soak up vibration and add balance to the bow. They come in a variety of sizes and shapes as well as different materials. These silencers are attached either at some point along the riser or at the ends of the limbs, and extend back toward the bowstring. When the string jumps forward at the shot it essentially collides with these rubber stoppers. Any excess vibration is quickly transferred from the string and soaked up by the stopper. To get tiller measurement the archer must measure from the point where the limb meets the riser, backward to the string in a perpendicular line. This should be performed for both the top and bottom limb and the measurements should be the same. Why is the tiller measurement important to you? The yoke is the “Y” shaped control cable that attaches to the outsides of the upper limb of a compound bow at the axle pin. Yoke tuning is done by adjusting each side of the yoke in order to achieve a linear trajectory of the bow string as it comes off the idler wheel at full draw.